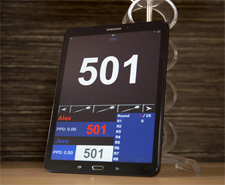 For almost 80 years The Big Name In Darts has been at the forefront of innovating darts technology. 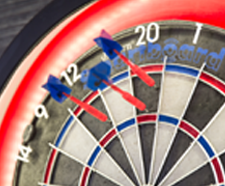 Now we introduce the revolutionary new Unicorn Smartboard®, the world’s first app enabled auto-scoring dartboard. 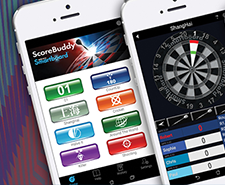 With instant scoring, made possible by the amazing Unicorn Scorebuddy® app, you can play 8 exciting games suitable for all ability levels. 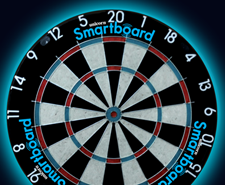 With Bluetooth LE connectivity the Unicorn Smartboard® instantly transmits the score of every dart to the Scorebuddy® app on your mobile or tablet device. Works with all steel tip darts. 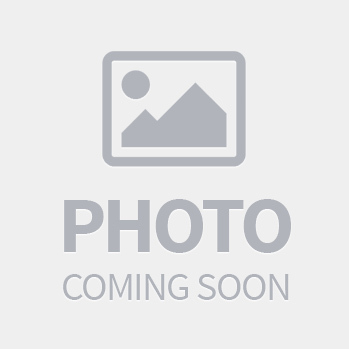 Watch the video - Play up to 8 different games!